Happy St David's Day/ Dydd Gwyl Dewi Hapus! 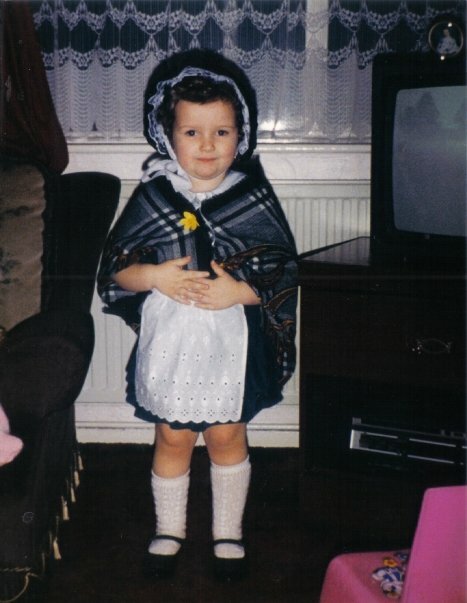 Check me out in my little Welsh lady outfit :) I was about 4/5 when this was taken at my nans house, I don't look too impressed do I ? Hehe Happy St. David's day! Hope you have some yummy welsh cakes hmmm. Look how cute you are!!!! Awww such a cutie pie!